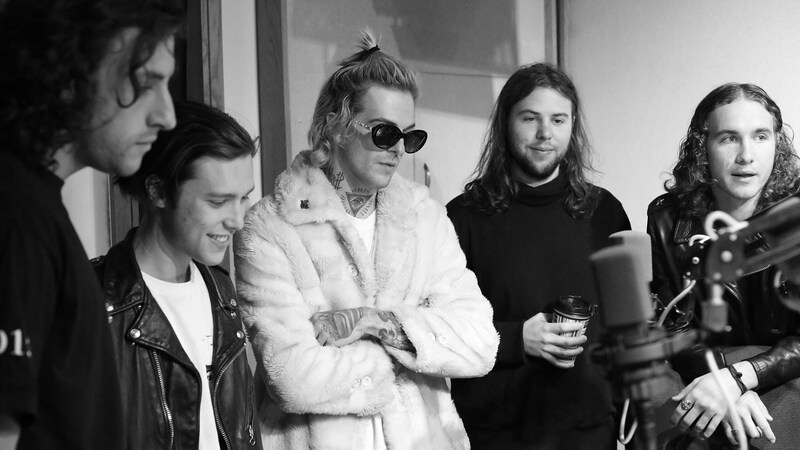 On December 2, 2012, Jesse Rutherford and Zach Abels mindlessly played around on a guitar and created a song that would be known as “Sweater Weather.” The following year, The Neighbourhood released a black and white music video for the song, following up with their debut album I Love You, driving their fans crazy and taking underground indie to a whole other level. 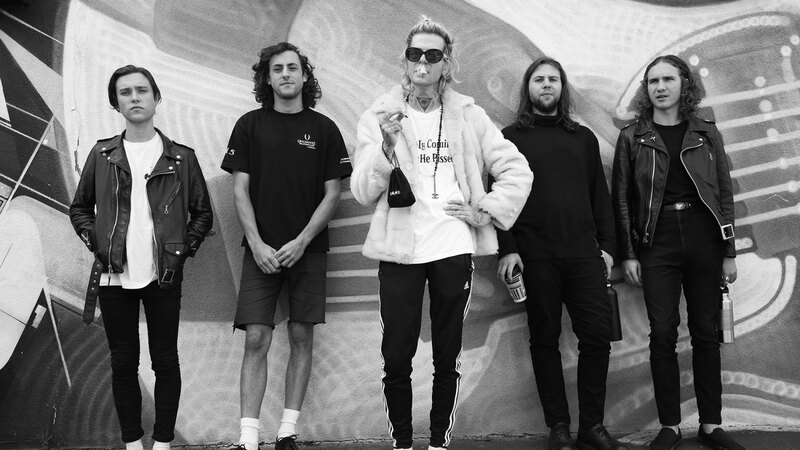 Now, after waiting for what seemed like an eternity, The Neighbourhood have finally come out with a new album so good, the melancholic r&b mashups will leave you feeling exactly what they titled their album, Wiped Out, but with awe. It starts with “A Moment of Silence,” the 34-second track of nothing leaving you confused and checking if your headphones are plugged in correctly. After realizing that your headphone are actually just fine, you start to wonder what the silent track means. Maybe it a metaphor, like the silence that falls between you and a loved one when seeing each other after years of no contact. It’s quiet, it’s painful, but its brief. It then continues with “Pray,” an eerie melody joined with upbeat, almost beachy like guitar chords as Jesse sings about how everything is so off, he feels the need to pray. The third track is “Cry Baby” which is more dance-like and not as depressing as what we’re used to from the moody sounding band. 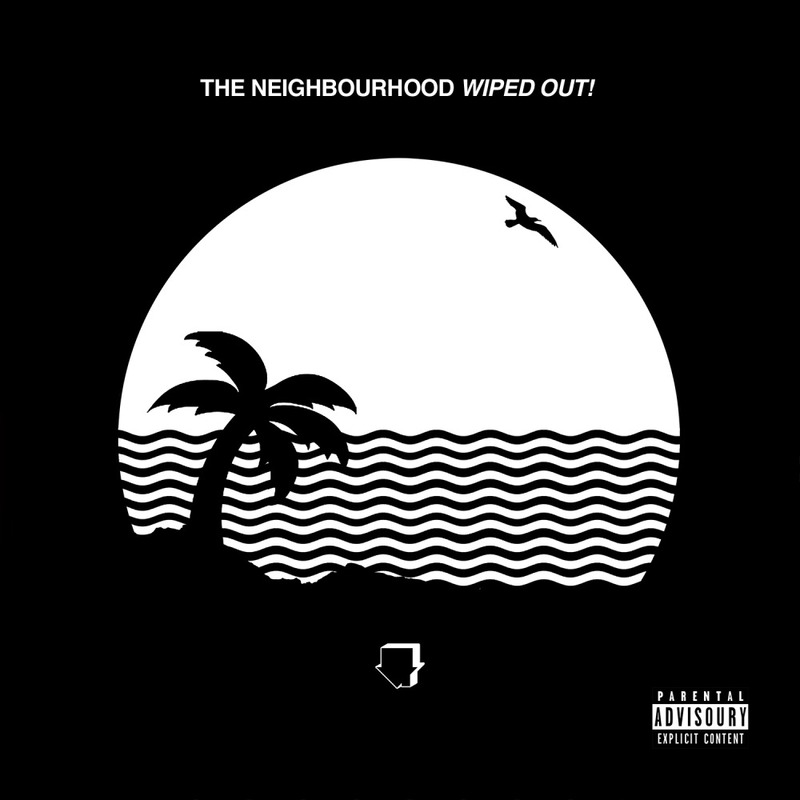 The fourth track, “Wiped Out!” almost reminds you of California in the beginning, then hisses with static and changes into a more dark, electronic rhythm. It’s not exactly my favorite song but listening to Jesse murmuring in the background while an electric guitar plays reminds me of their mixtape #000000 & #ffffff. (It’s embarrassing but it actually took me a while to understand that all those numbers and letters actually meant black & white). Next is “The Beach” which sounds a lot like their first album “I Love You.” It’s sad, its hypnotic and its beautiful. Following that is “Daddy Issues,” which just broke my heart into a million pieces and is my absolute favorite song on the album. 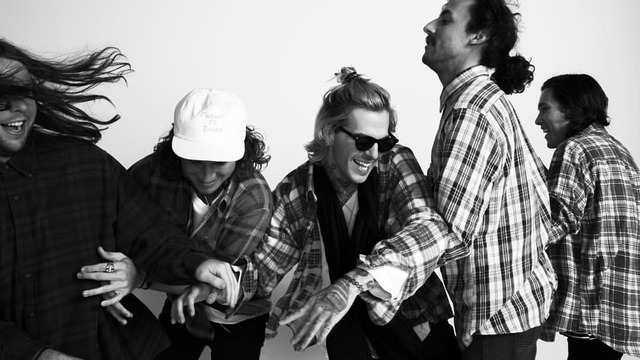 The lyrics are so personal and raw, it’s as if Jesse is telling you his deepest secret. He sings about a girl who has daddy issues and how he loves that about her, not because of how dysfunctional it makes her, but because he has them too. “1 of those weeks” and “RIP 2 My Youth” are two other songs in which Jesse gives us a small view into his relationship with his father who has passed away but in “Daddy Issues,” Jesse reveals how he truly feels about his father’s absence in his life and it’s enough to make you want to cry. The seventh song “Baby Came Home 2/Valentines” is an ode to “Baby Came Home” from their I’m Sorry EP and is supposedly singing about the same “baby.” The next song,”Greetings from California,” isn’t my favorite but the one after that, “Ferrari,” makes up for it as he sings about hypocrisy and the bitter distance between two people in a relationship. The tenth song “Single” actually took me by surprise from the happy, almost childlike musical instruments usually heard in lullabies playing in the background. Once I paid attention to the lyrics, I realized that he was singing about his current girlfriend, Devon Lee Carlson. The final song on the album is “R.I.P 2 My Youth” and is the first song released to the public before the album came out. Next to “Daddy Issues,” this one is my second favorite song on the album. Not only did the music video include one of my favorite dancers, Ian Eastwood, but Jesse was also looking mad stylish, trading in his chill, California boy look for big sunglasses and Chanel fur coat looking like a modern day, R&B rock star Mick Jagger. All in all, this album was worth the wait and did not disappoint in any way at all. After falling in love with Jesse’s sad crooning in the I Love You album, and jamming to their free #000000 & #ffffff rap and hip hop mixtape, Wiped Out! is a great combination of both and I really admire how they effortlessly combined different genres of music together, making both hip hop and dark pop fans happy. Make sure to buy this amazing album on iTunes or listen to them on spotify, soundcloud and follow them on Twitter, Instagram.